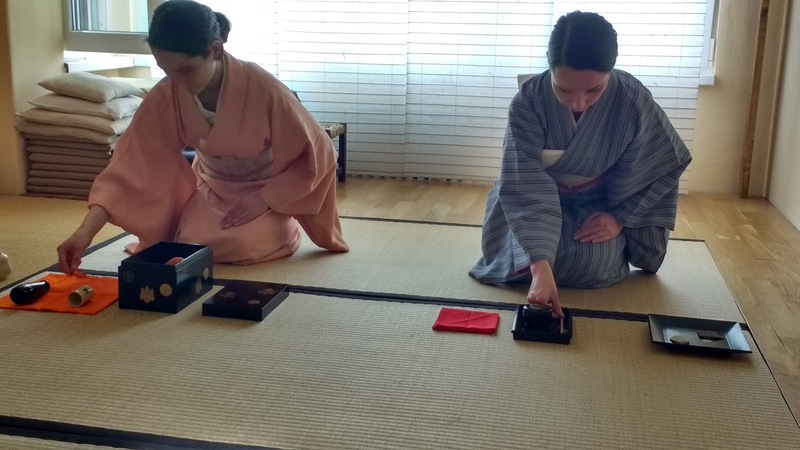 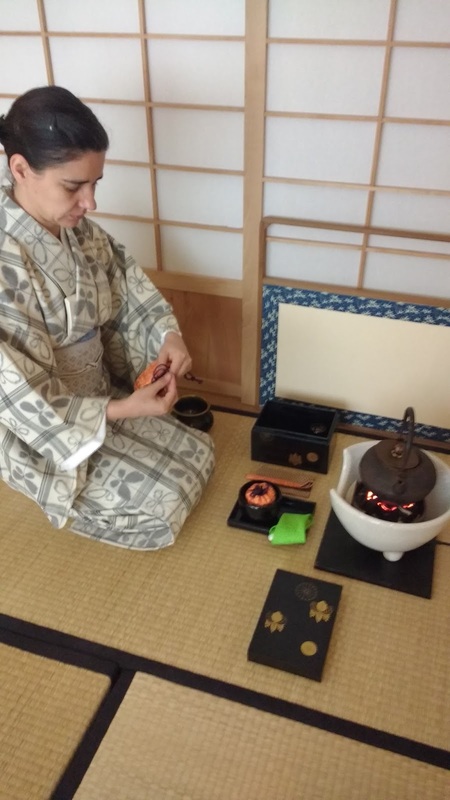 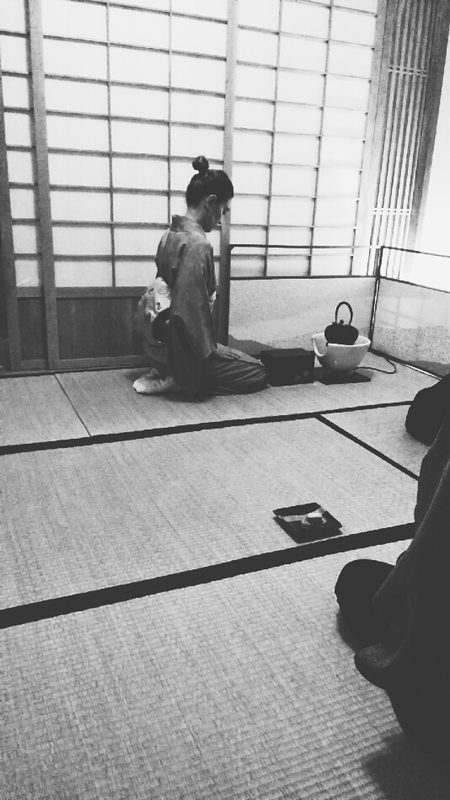 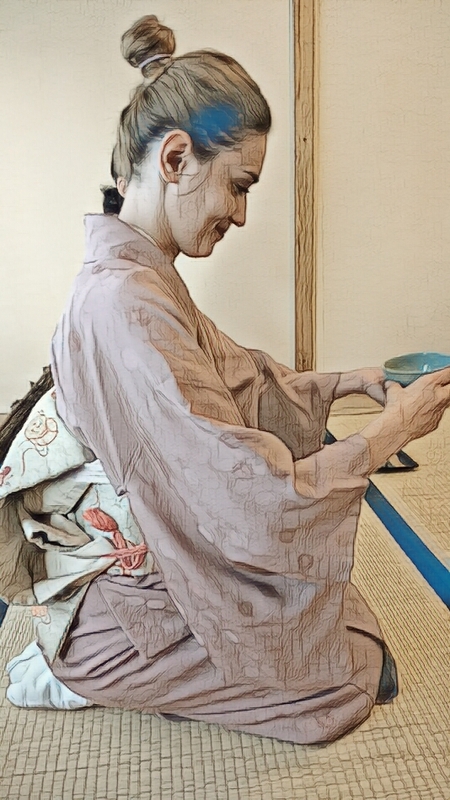 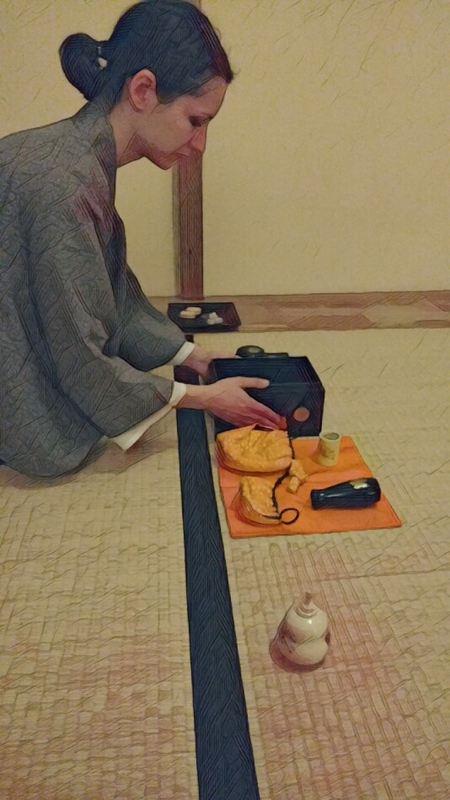 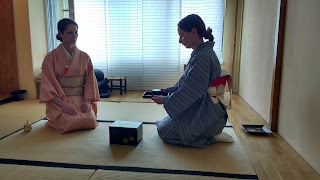 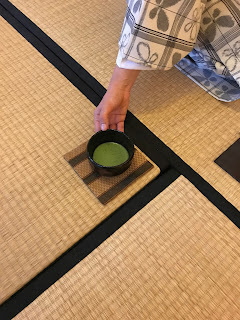 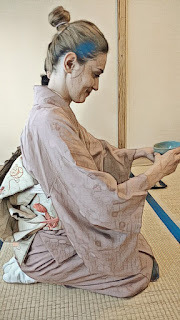 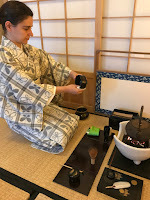 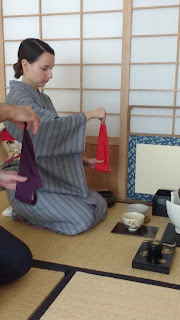 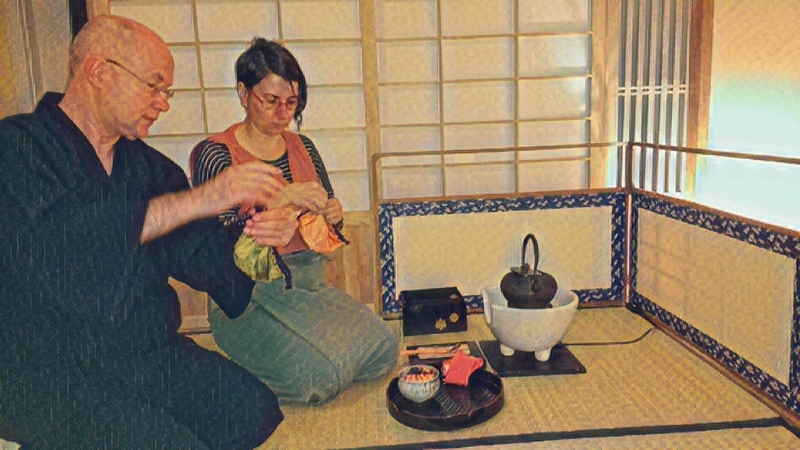 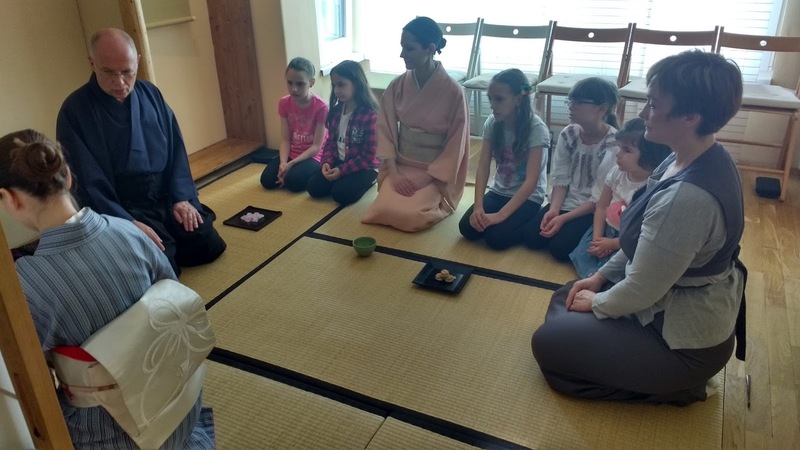 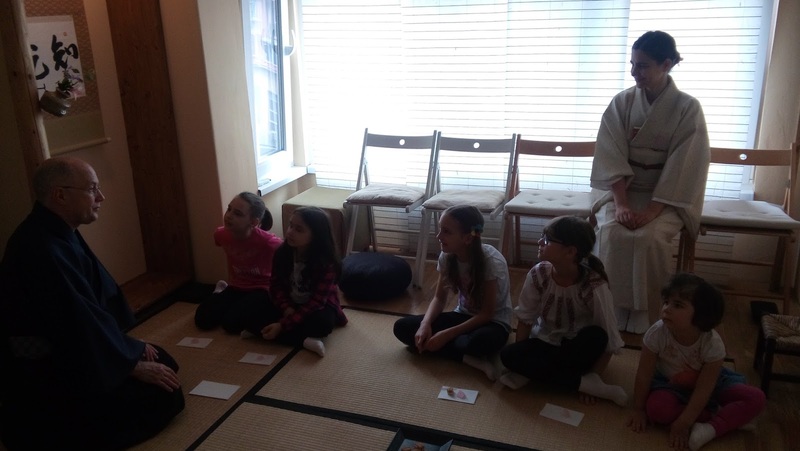 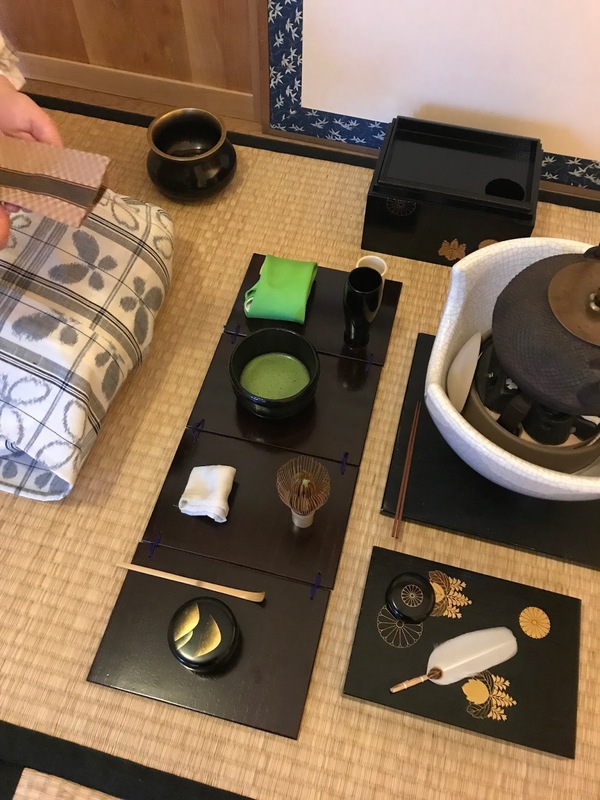 May somehow became a very interesting month for tea ceremony practitioners; it is when we change everything in the tea room from winter to summer, and it is when we practice intensely a special procedure, called Chabako. 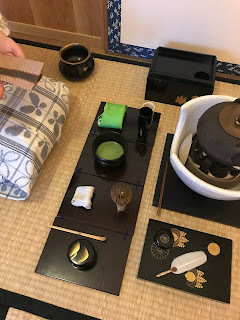 All tea utensils are smaller and they find their place in a small box, meant to be used outdoors. 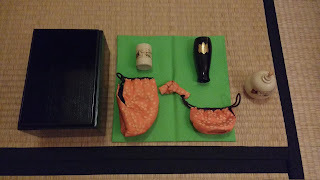 This May we had a long, good and beautiful seminar with all five different types of Chabako procedures. 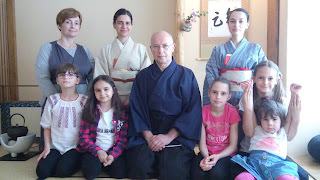 It is always a pleasure for our students to practice Chabako. 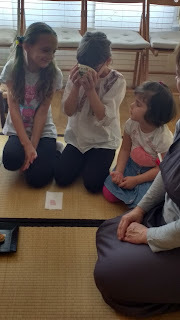 Never did I know why or how this enthusiasm was formed, but I always enjoy it. Chabako practice happens only in May and in October, at least this is how we use to practice it. Today we had some special guests: children from a martial art school. They enjoyed their first cup of tea. 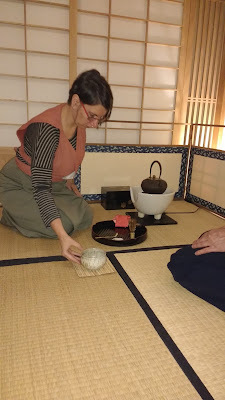 BOOK LAUNCH EVENT : THE TEA AND ITS CEREMONY - IT HAPPENED! 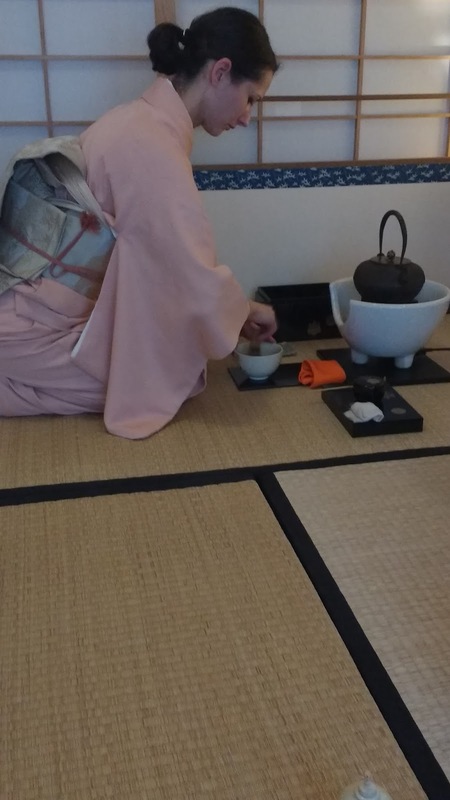 As I mentioned in the previous posting, I wanted to see how things have a life of their own. 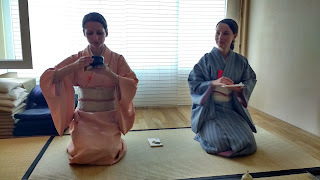 Well, they do! 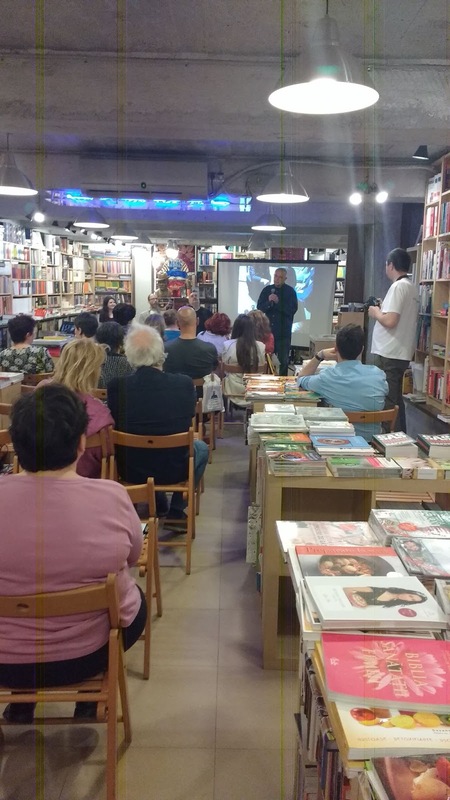 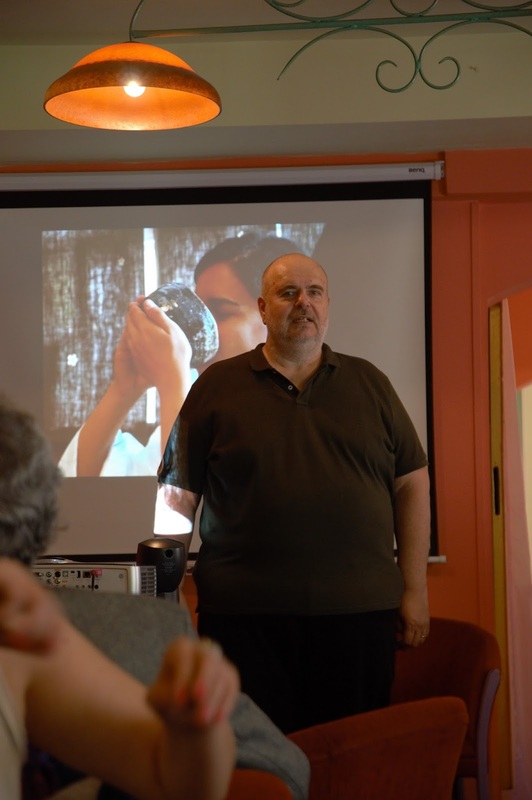 The book was launched on May 22nd at the Rendez - Vous teahouse in Bucharest - an intense game of intense colours in the middle of Bucharest, filled, on a hot sunny day, with curious people, sweating and sipping refreshing teas, ready for a good story. We arrived ahead of time, anxious to prepare the multi-media setup. 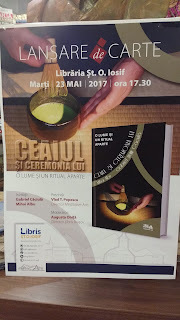 "Ceaiul si Ceremonia lui" is a book about tea and at the same time, a book about a mysterious rituaistic meditative dance developed around this very simple act of boiling water and making a good tea for a friend - the tea ceremony. 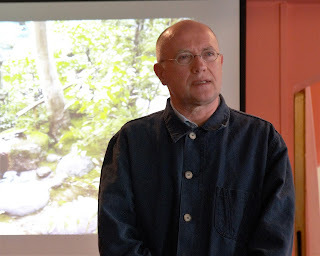 The good and kind man Tudor Vlad Popescu, the director of the Meditative Arts Publishing House opened the event and introduced the two authors, Mihai Albu and Gabriel Caciula. 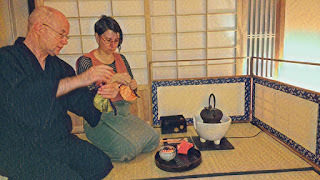 Budist meditation songs at Shakuhachi, a rolling video presentation of sequential images from a real "Chaji" - the actual tea ceremony, melding smoothly with the stories of presenters. 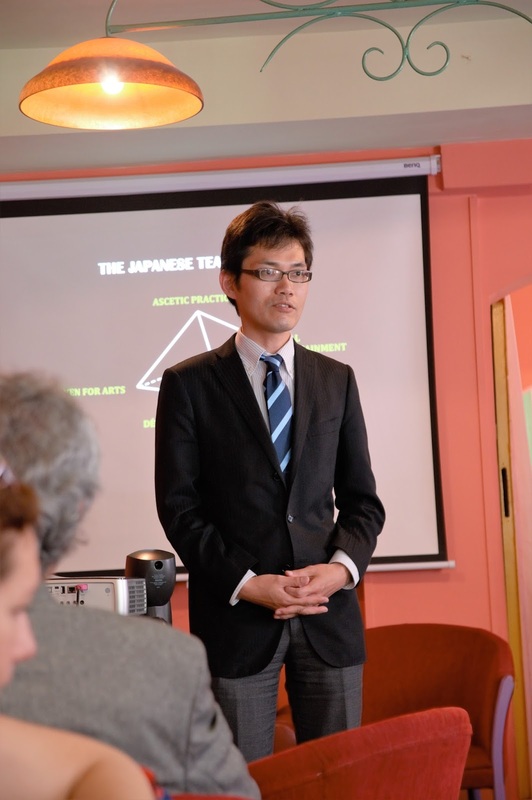 We had the honour of the presence of Mr. Ryohei Tobibayashi, First Secretary at the Embassy of Japan in Romania and his wife. Mr. Tobibayashi addressed the audience and expressed the satisfaction to see that such a book about the tea and its ceremony has the change to be published in Romania. 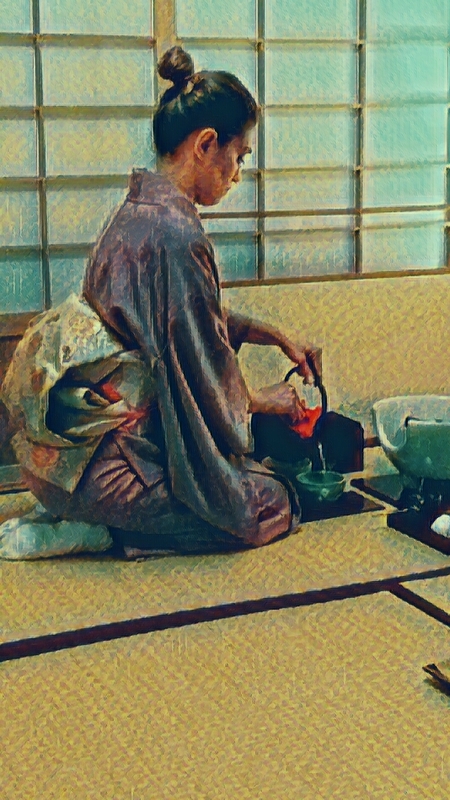 Many years back, the pages of a book on a similar topic were printed in America: The Book of Tea, by Okakura Kakuzo. The West was discovering this for ever miracle - Chanoyu - the Japanese Tea Ceremony. Today it was the time for the romanian public to find more about this ceremony. 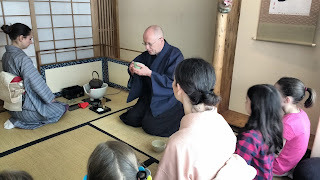 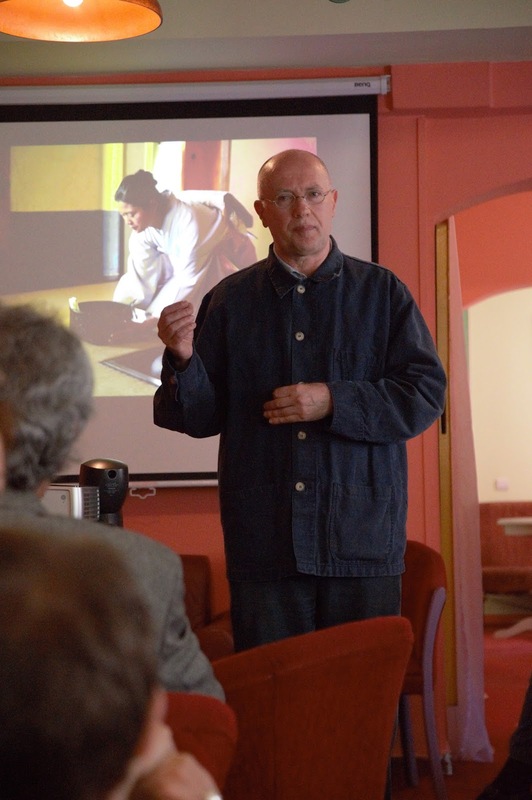 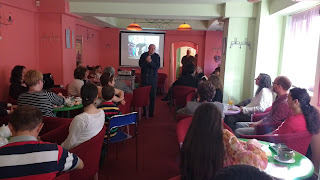 Both Mihai Albu, the author of the first part about tea, and Gabriel Caciula, who took it on his own to open the doors to the fascinating world of the tea ceremony, thank the audience for sharing with them the interest for tea and gave brief presentations about tea and its ceremony. The audience warmed up and interesting and refreshing questions started to pour in. What an invigorating moment! The next day, a new event: the launch of the book in Brasov. 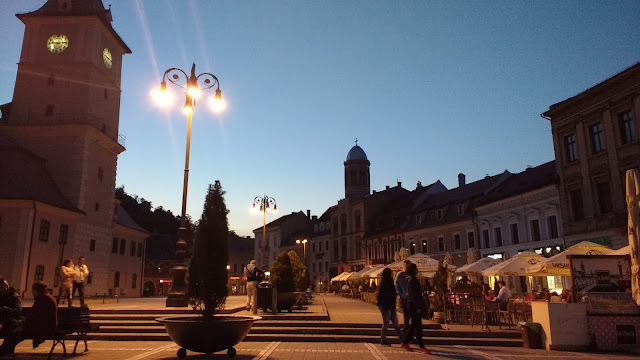 First of all: Brasov is beautiful. Our friends this time were the team from the oldest library in town: the Bookstore "Sf. 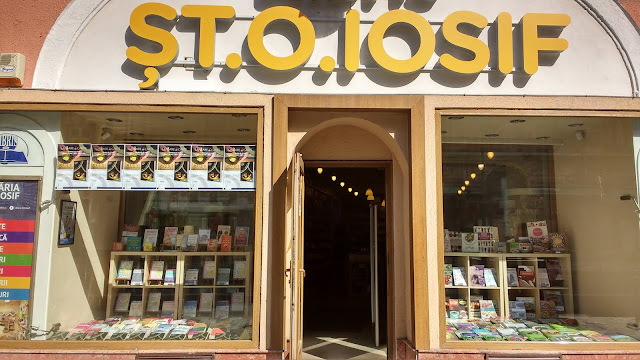 Iosif". 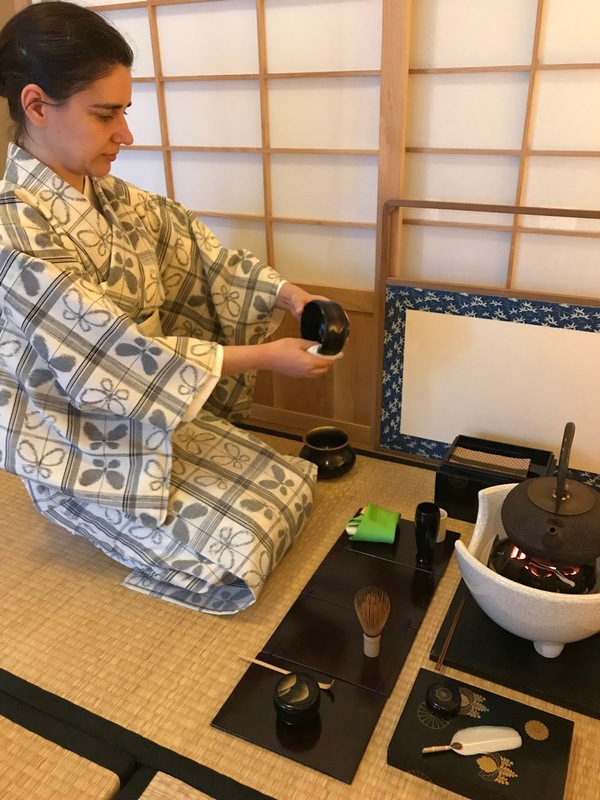 TEA with an academic touch this time. 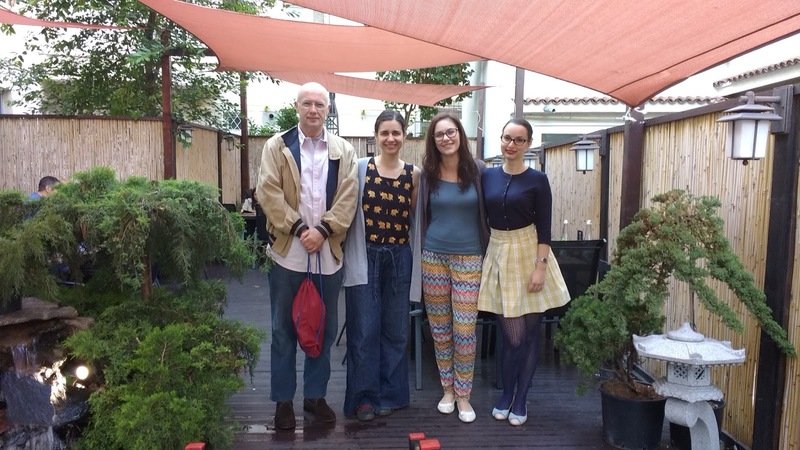 We cannot be more grateful to the people managing the library for their kindness and help. The same care in preparing the event and then, when everything was ready, curious people arriving to start together with the authors a wandering journey in a world where the mind, the perception, the reality and the imagination change dimensions, stepping with care on the wet stones of a Japanese garden, sliding inside a small hut, where the only thing that the host can offer is that the mosquitos are small, waiting for the fire to be prepared, for the water to boil and a wonderful warm tea to be offered from friend to friend, for one time only, as the seconds pass and they are all different.